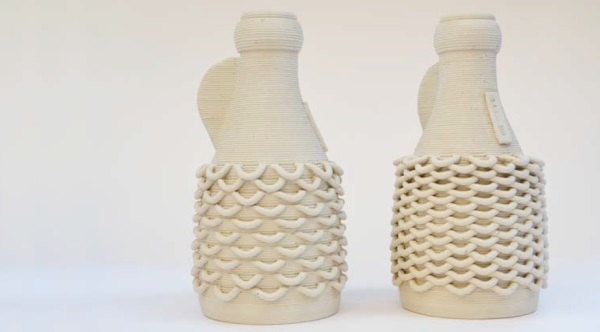 Wood, plastics and metals are just some of the materials manipulated by 3D printing. While they’re great mediums for rapid prototyping, they simply won’t do for artists looking to create things out of ceramic material. Now, thanks to a pair of Dutch inventors (Yao and Marlieke), artists can now utilize ‘the often overlooked material’ in their creations. The Vormvrij 3D printer is quite large and can print out objects that are almost 3-feet tall (33.4 inches) with a base of 23 by 31 inches. 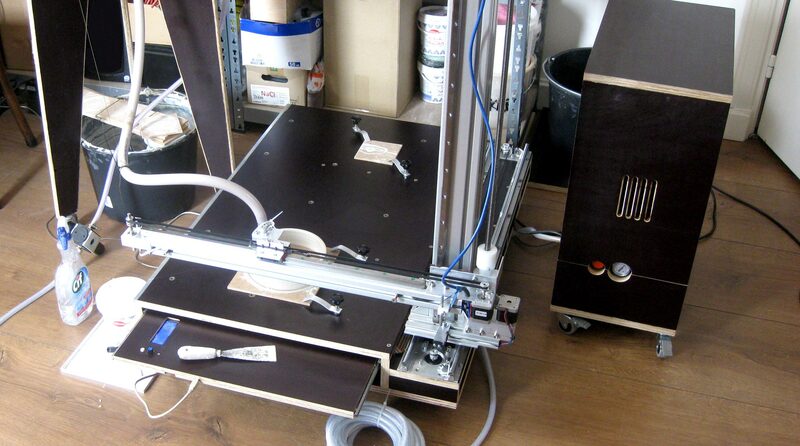 An Arduino with Ramps 1.4 shield runs the show using three 2A stepper motors and an air-powered print head to deposit the clay medium. 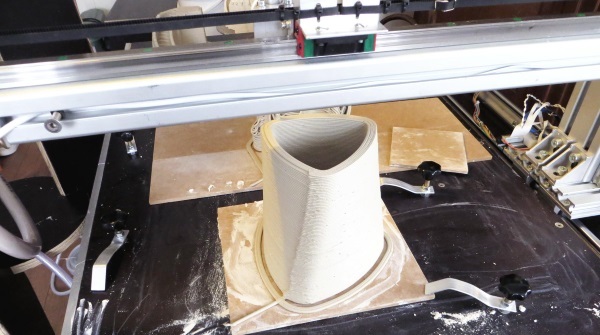 Depending on the wetness of the clay and the size of the object being printed, it can print out objects in roughly 15-minutes, which is faster than most traditional 3D printers are. An interesting feature of the Vormvrij is its unusually heavy base, which needs the extra mass to offset the heavy clay, otherwise printed objects would come out lopsided and deformed. As it stands at this point, small communities of interested users are developing a few clay-based 3D printers so the likelihood of purchasing one at this point is rather nil. You can however purchase a ceramic design from the artists mentioned above from the online craft store Etsy. Fire up the kilns at Vormvrjj site. Of course, if you are the type who is likely to build one, you can find plans to produce your own for roughly $700!